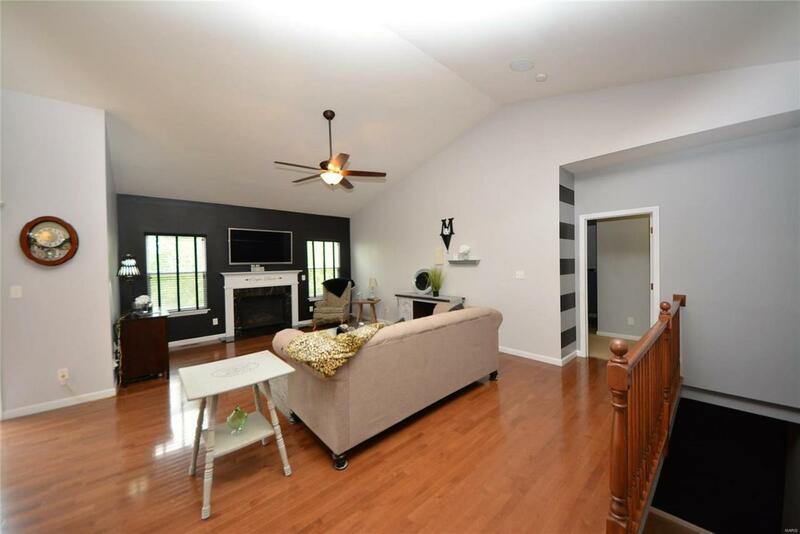 Stunning 2BR 3BTH ranch w/2660+SF of living space in the heart of Wentzville. 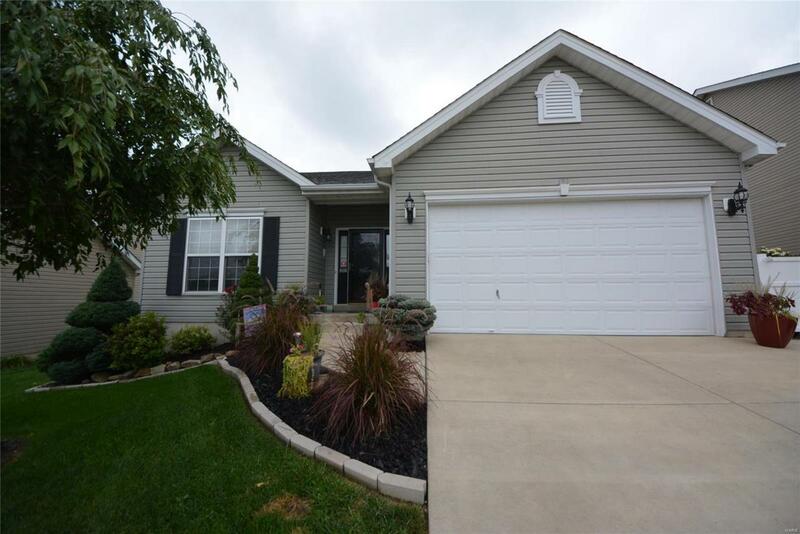 Exterior offers beautiful curb appeal, lush landscaping, Koi pond, oversized patio & 2 car garage. 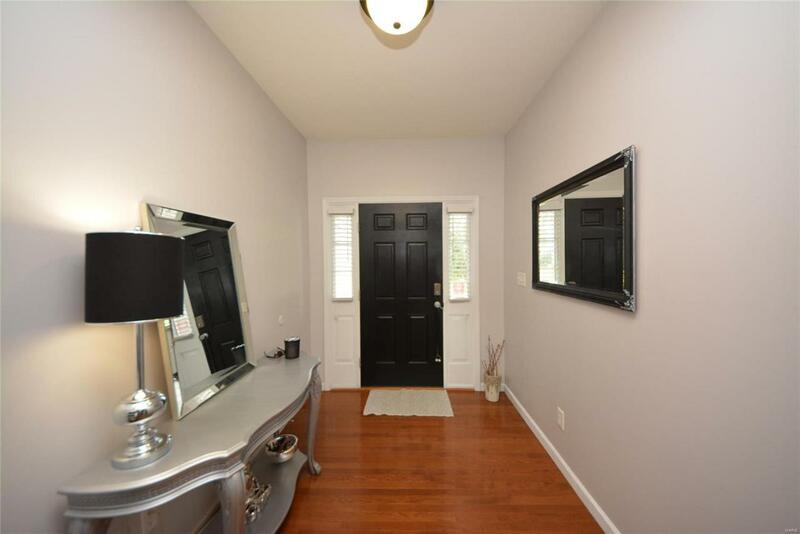 The interior of this adorable home features an open floor plan, fresh neutral paint tones throughout, gleaming HW floor in the entry foyer kitchen & bfst rm, spacious vaulted great rm featuring a gas FP flanked by tall windows. 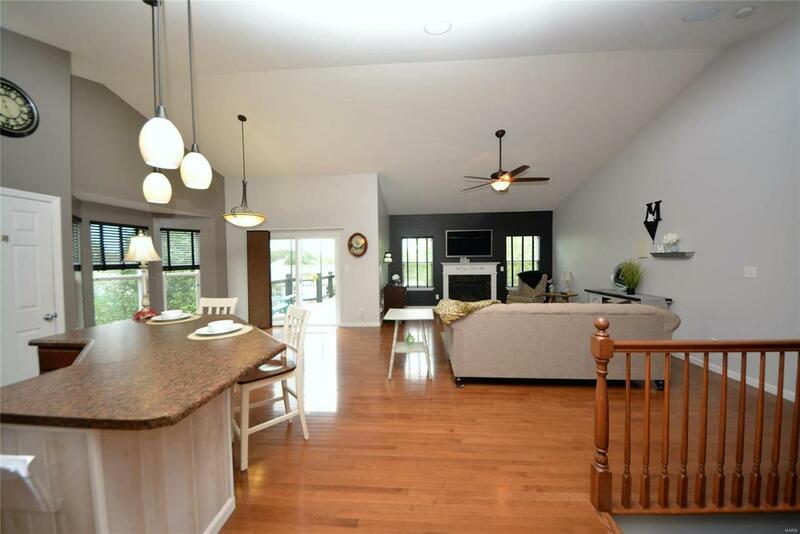 You'll love the kitchen w/ custom cabinetry, crown, center island w/bkft bar, pantry & bkft rm w/bay window & slider to the deck overlooking your own little outdoor oasis w/LG patio, pond & firepit perfect for entertaining & relaxing outdoors. Luxury MF master suite features coffered ceiling, bay window, walk-in closet & deluxe bth w/dbl vanity, soaking tub & shower. Add'l BR, full BTH & laundry on the main. The finished LL provides & LG family rm, rec rm w/bar, possible sleeping rm or office & full BTH. Great location w/easy access to major hwys. This home is MOVE-IN-READY & A MUST SEE!